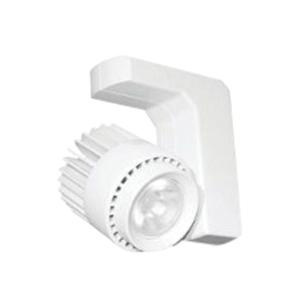 Amerlux Hornet® Collection High-power track head in white texture finish, features complete die-cast construction. This L- style track head uses 16-Watt LED lamp that has voltage rating of 120-Volts and current rating of 0.13-Amp. Ceiling mountable head measures 4-5/8-Inch x 4-11/16-Inch. This track head comes with average life span of 50000 hours. It tilts up to 0 - 180-degree and rotates up to 360-degree.